Klaus Wangen Design does not assume any warranty for the information provided on this website being complete, accurate and up to date in any case. This also applies for all links that this website directly or indirectly refers to. Klaus Wangen Design is not responsible for the contents of a page that is reached through such a link. 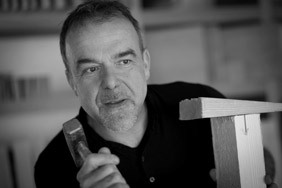 Klaus Wangen Design reserves the right to change or amend the information provide without previous announcement. We will collect, process and use your data only in the scope of the legal provisions. This data privacy statement applies solely for use of the websites offered by us. It does not apply for the websites of other service providers that we merely link to. If you access websites of Klaus Wangen Design, general information will automatically be recorded that does not, however, permit any conclusions as to your person. The data recorded include the date of your visit, your web browser, operating system and the domain name of your Internet provider. You will remain anonymous when using our website unless you provide personal information voluntarily. Personal data are only collected when this is required for use of the services offered on this website, particularly for orders. We will treat the data provided by you strictly confidentially. We will not pass on any personal data without your express consent, except if we are legally obliged to this. However, note that transmission of data online may always lead to third parties gaining notice of your data or falsifying them. Of course, we grant insight in the data saved on you. If you want to correct, delete or view data, just send a letter to the address named in the imprint. In the scope of notifications of our customers on production novelties, etc., we are sending you emails only if you provide your email address or if you have signed up for our newsletter. All contents, texts and figures of this website must not be copied or used otherwise without the express consent of Klaus Wangen Design.